This past Saturday my family and I made a mini road trip to Ellijay, apple capital of Northern Georgia. I am obsessive about participating in seasonal fruit picking (and some vegetables too). I have dragged my husband and kids to strawberry & pumpkin patches, apple & orange orchards, roadside raspberry and black berry bushes and even artichoke fields. We have picked apples in Germany, Sebastopol and Julian, California, but over the weekend it was our first Georgia apple orchard. The orchard we visited was R & A Orchard, (http://www.randaorchards.com/) the same reliable source we have used for Georgia peaches since we have moved to the Atlanta area. The abundance of fruit hanging on the trees made me smile with sheer delight. I think even my teenage daughters were impressed with the bountifulness of mother nature…and the farmers at R & A Orchard. 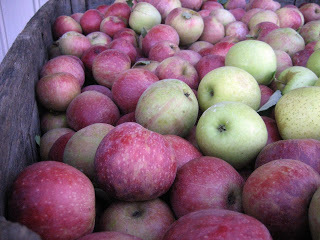 The two apple varieties still in the orchard to pick were Rome and Stayman Winesap. 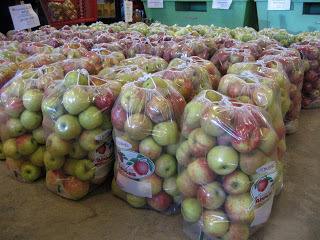 Apples already harvested and available for purchase inside the store were; Jonagold, Red Delicious, Mutsu, Granny Smith, Fuji, and Cameo. 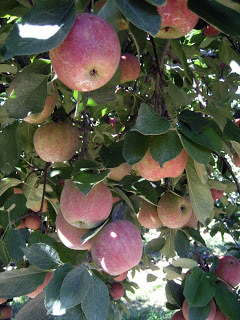 R & A grows 19 different apple varieties, harvest dates start in June and run until November. In celebration of our apple harvest, I am dedicating this week in the kitchen to, you guessed it, APPLES. 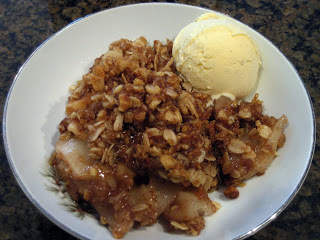 One of my very favorite apple desserts is APPLE CRISP. It seems every year I am baking a slightly different version of the one before. Sunday I made one with more flour and citrus juice. My taste testing husband thought the citrus was too much and I thought the flour in the topping took away from the “crisp,” it was more like a “cobbler.” So Monday, I tweaked the Sunday version and this one is my new favorite. 2. In a large bowl gently mix and toss together the apple filling. 3. Layer the apple filling into a 9 x 12- inch baking dish. 4. Combine the topping mixture and cut the butter into the dry ingredients until the butter is pea size. 5. Sprinkle the topping mixture over the apple filling.